The Oriental Institute corrects some modern fudging of ancient history. 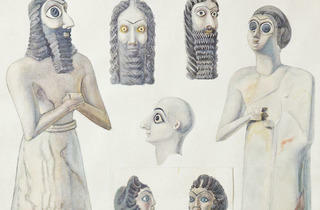 G. Rachel Levy, reconstruction of statues from Iraq,ca. 1939The original statue on the right-hand side of this painting sits on a base next to a small pair of feet. This sparkedthe imagination of Levy, a watercolorist who portrayed a short figure stemming from the feet. The childlike sculpture made other scholars debate the possibility of an ancient mother-goddess cult. This �mother goddess� rumor spread until �it entered into literature outside of Egyptology,� Teeter says. 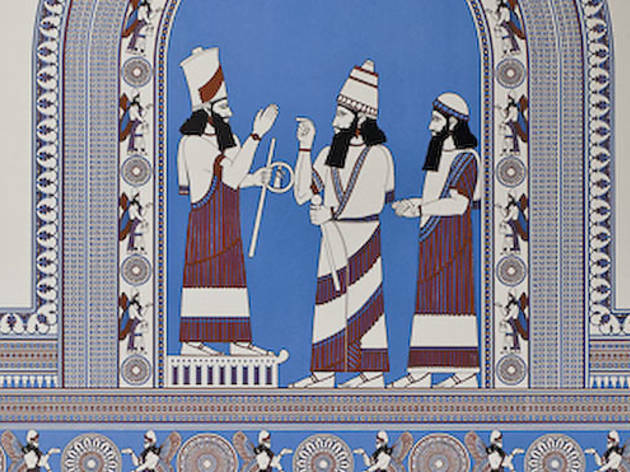 Charles B. Altman, restoration of neo-Assyrian wall painting from Khorsabad, ca. 1935When Altman reached the Iraqi excavation site, much of this ancient wall painting had collapsed and proved difficult to restore. 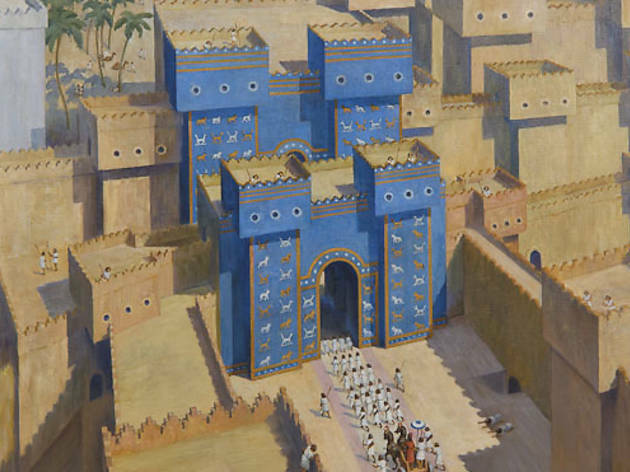 Using his knowledge of Assyrian art, Altman�an Oriental Institute expedition leader and an architect by training�added the arched shape, elaborated on the sketchy winged figure and horse pattern, and filled in missing details on the human figures. Many scholars failed to notice Altman�s embellishments. �This image carried over into books,� Teeter says. �It�s often cited� as a historical reference. 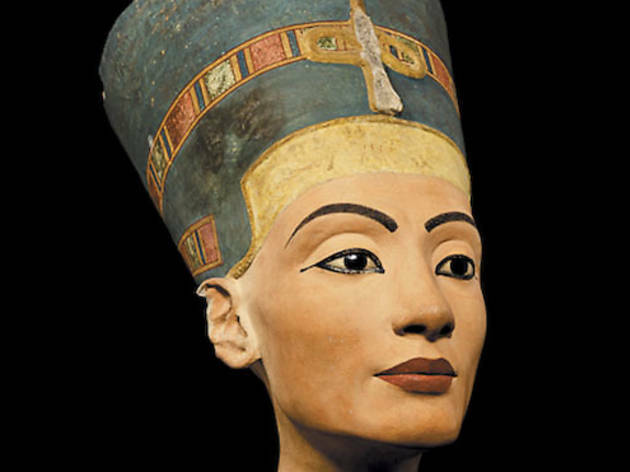 Copy of the bust of Nefertiti, 1923A Berlin plaster cast workshop created this well-known model by using measurements of an original Egyptian sculpture created around 1345 B.C. The plaster artisans added one important detail: an eye. 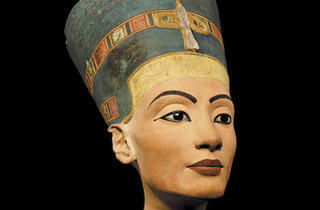 Mysteriously missing its left eye, the original bust appears significantly less like advertising-friendly material. 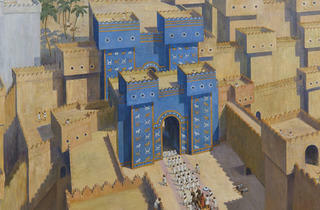 Maurice Bardin, view of Babylon, 1936The mythical Hanging Gardens of Babylon come from a biblical notion of the city�a symbol of hedonism and wickedness. 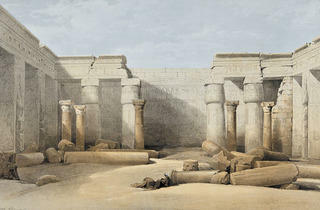 While Bardin, a curatorial assistant at the Oriental Institute, based this painting�s monuments on excavation records, the gardens are �completely made up� according to Teeter. We know to question Wikipedia and leaked celebrity photos, but a new exhibition asks us to question scholarly images of the ancient past. 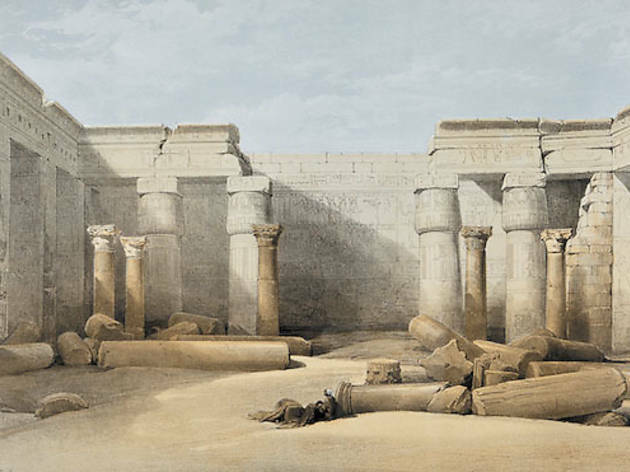 The Oriental Institute’s “Picturing the Past: Imaging and Imagining the Ancient Middle East” turns a skeptical eye on Egyptologists’ renderings of ancient lands, reconstructions of tomb walls and even photos of excavations. The museum points out archeologists’ guesswork and makes us rethink our childhood-textbook-formed perceptions of the ancient Mideast and Egypt. 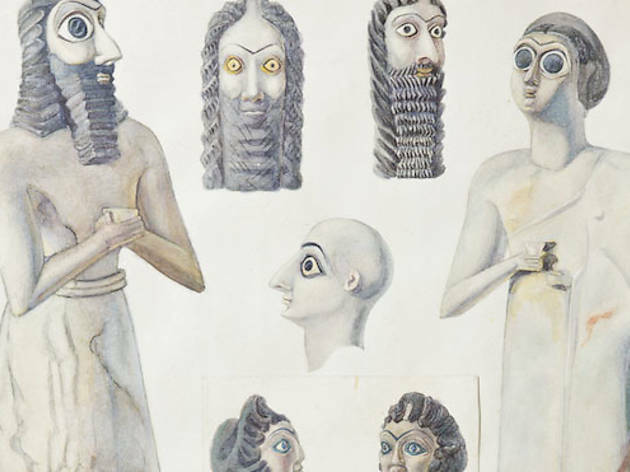 But the impetus behind this show isn’t necessarily archaeology’s misrepresentations: “We have a lot of cool art floating around,” says exhibition curator Emily Teeter, “and architectural illustration is really great stuff.” We look at five images and inspect the dubious details. 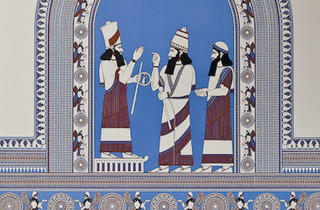 “Picturing the Past: Imaging and Imagining the Ancient Middle East” runs through September 2.